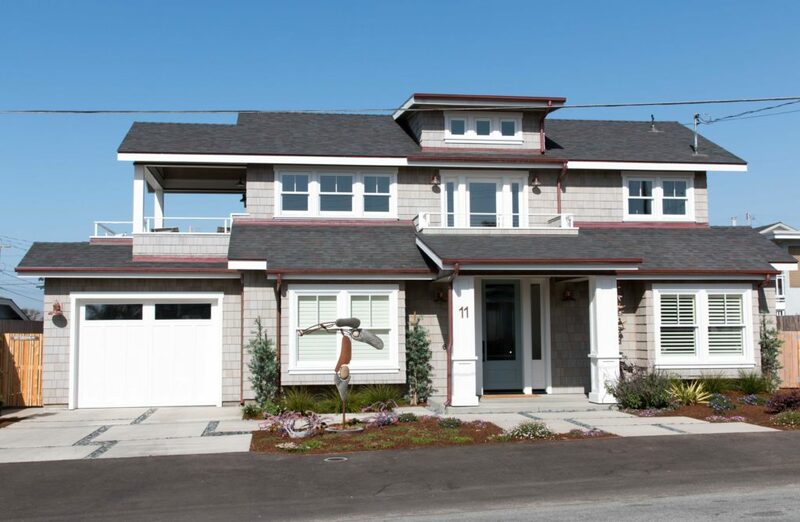 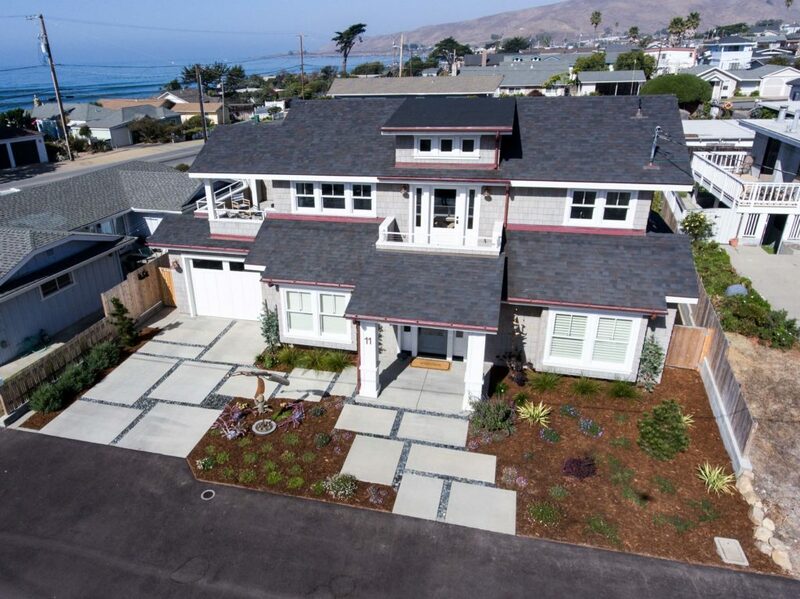 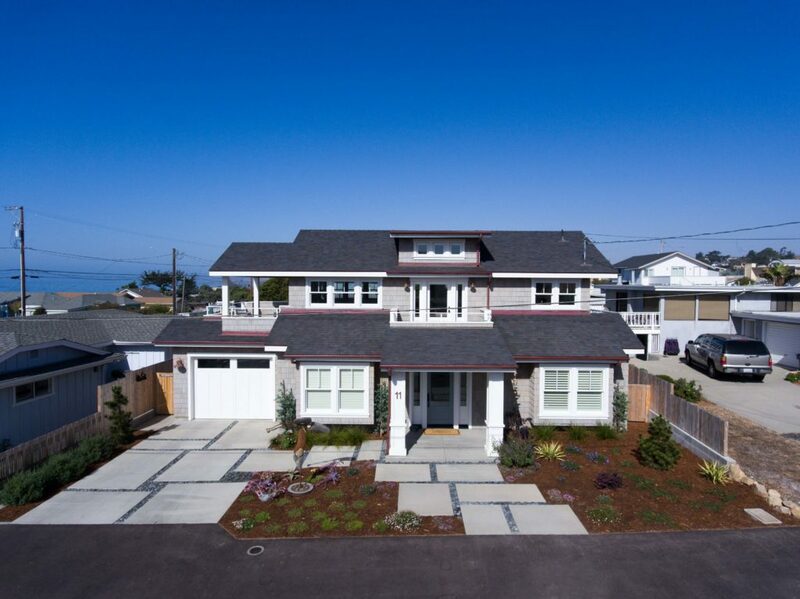 The 9th Street Residence takes classic coastal architecture up a notch. 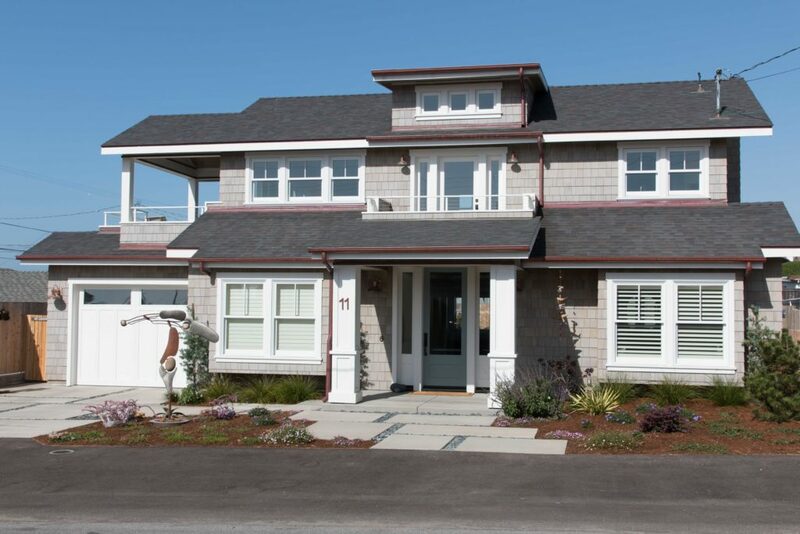 Shingled siding, pops of color, and white window trim pull the look together. 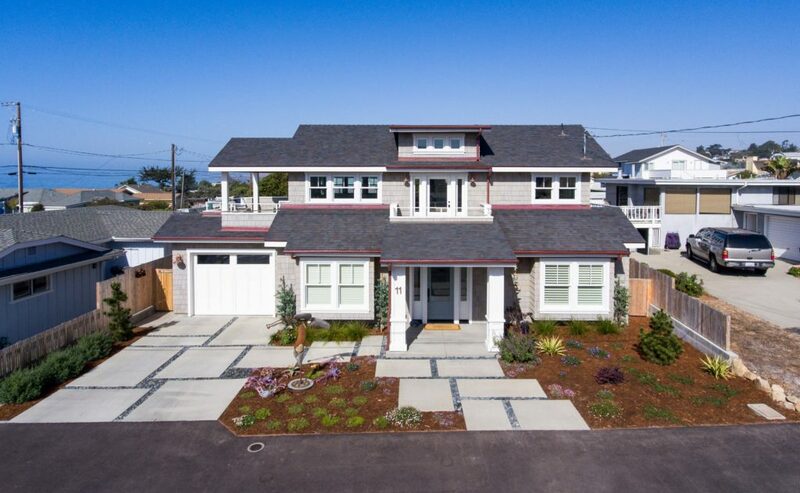 The interiors boast an exposed heavy timber framed roof, whitewashed to match the exterior feel, vaulted to take advantage of the natural light.